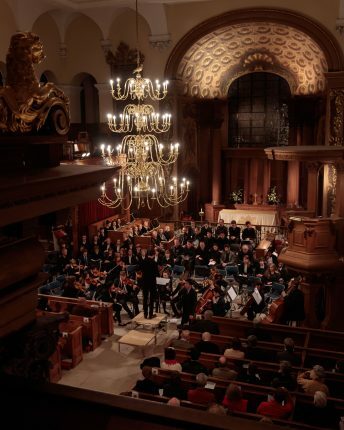 Colfe’s annual Autumn Concert at St Alfege’s Church proved a resounding success – with over 100 pupils, parents, staff and friends coming together for a magnificent rendition of Vivaldi’s Gloria. The programme for the evening included a Fanfare composed by Year 13 music scholar Leo and performed by the Brass Group, Schubert’s Unfinished Symphony performed by the Senior School Orchestra and Chanson de Matin performed by the String Quartet. Year 13 soloists Max and James also gave beautiful renditions of O del mio dolce ardour and Amaralli mia bela.